Owning a house or a building typically produces a sense of accomplishment that one’s hard work and struggle has come to fruition in the form of ownership of real property, something much more difficult to attain elsewhere. Having a structure built to the owner’s specifications provides an additional sense of accomplishment. In the majority of instances, these structures are built without error. However, in some cases, defects in construction can become apparent. Contacting an attorney experienced in construction defect law as soon as such defects become known is crucial, as there are time limits that govern pursuing a legal claim. The proper channels should be followed to obtain relief, but this situation does show the real frustrations construction defects can cause for owners. A discussion of the various legal claims that can be made against the responsible parties will follow below. While many legal theories exist for construction defects, it should be noted that, under Florida Law, prior to filing such a lawsuit, a property owner must provide notice of his/her intent to pursue legal action to the contractor, subcontractor, supplier, or design professional whom the owner asserts is responsible for the defect (that is, the responsible party), in order to provide an opportunity to resolve the claim outside of litigation. However, assuming nothing is settled from this process, the following are some of the legal claims that can be filed against the responsible party in court. This is the primary legal theory on which construction defects are based. Such a claim allows property owners to initiate a legal action against a responsible party if the terms of the agreement between the parties were not followed. This theory is related to breach of contract. In a breach of contract matter, the plaintiff asserts that the responsible party did not comply with a condition expressly provided for in the agreement. 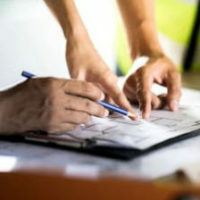 If, however, a condition is not expressly stated, courts have nevertheless held that the responsible party is required to complete a construction project in a reasonable workmanlike manner. Thus, failure of the resulting structure to be sound for its intended and specific purpose may be actionable. While negligence is most often associated with personal injury, it may still provide a basis on which a construction defect claim can be made. Essentially, the law imposes an obligation upon the responsible party to exercise a reasonable degree of care in fulfilling a construction project. This duty of care is extended to all who may foreseeably be injured by a construction defect, including subsequent purchasers. Finally, fraud and negligent misrepresentation may be asserted when the plaintiff believes that the responsible party intentionally misrepresented the quality of construction. It also covers claims the responsible party represented something as factual, but without any reasonable basis for believing the information to be true. If you are an owner and suffered damage to your property as a result of a defect in the construction of the property, and you are curious as to what claims you may have against the responsible party, talk to an experienced construction defects attorney as soon as possible. The attorneys at Linkhorst & Hockin, P.A. have knowledge and experience in Florida’s construction defect law, and will work to get you the compensation you deserve. Contact our Jupiter office today.